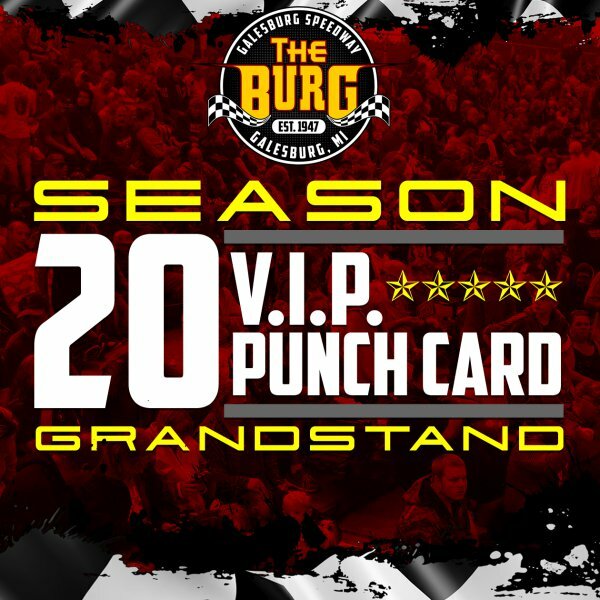 The V.I.P Grand Stand Season Punch Card gives you 20 tickets to use throughout the current race season. It is your choice on how you use those 20 grand stand passes. You can use them all at once or one per night or anything in between. Want to use them all during The Victory 50, Bash at the Burg, The Freedom Firework Show or School Bus Figure Eight? Not a problem. Want to bring the family to just a few events? It’s your choice how many you use and when you use them. Not limited to just you, you can have the card punched once for every person you bring, including family, friends or complete strangers. There are no limits except the number of open punches you have left on your card. 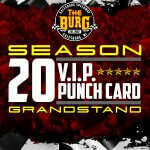 The Economy Grand Stand Season Punch Card gives you 20 tickets to use throughout the current race season. It is your choice on how you use those 20 grand stand passes. You can use them all at once or one per night or anything in between. Want to use them all during The Freedom 50, Bash at the Burg, The Freedom Firework Show or School Bus Figure Eight? Not a problem. Want to bring the family to just a few events? It’s your choice how many you use and when you use them. If a large group of people want to come see The World Famous School Bus Figure Eight, get 20 tickets. 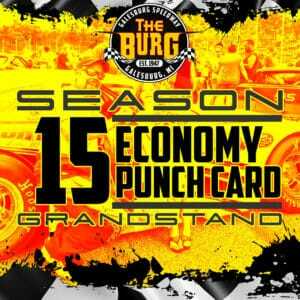 The Economy Grand Stand Season Punch Card gives you 15 tickets to use throughout the current race season. It is your choice on how you use those 15 grand stand passes. Not limited to just you, you can have the card punched once for every person you bring, including family, friends or complete strangers. There are no limits except the number of open punches you have left on your card. *$360.00 Normal Value is if all punches were used for Bash at the Burg. The Economy Grand Stand Season Punch Card gives you 15 tickets to use throughout the current race season. It is your choice on how you use those 15 grand stand passes. You can use them all at once or one per night or anything in between. Want to use them all during The Freedom 50, Bash at the Burg, The Freedom Firework Show or School Bus Figure Eight? Not a problem. 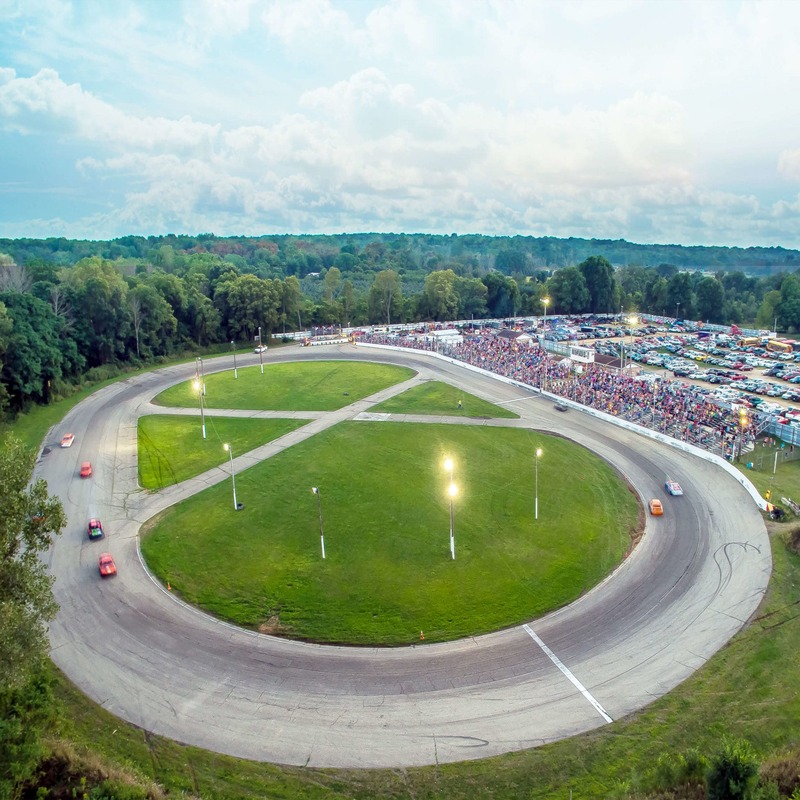 Want to bring the family to just a few events? It’s your choice how many you use and when you use them. If you have a family these are huge savings where you can get the whole family in for just $10 a ticket. If a large group of people want to come see The World Famous School Bus Figure Eight, get 15 tickets for only $10 a piece. Not limited to just you, you can have the card punched once for every person you bring, including family, friends or complete strangers. There are no limits except the number of open punches you have left on your card.